Because of the many types of gates offered, it can be somewhat overwhelming trying to determine which one you’ll buy. 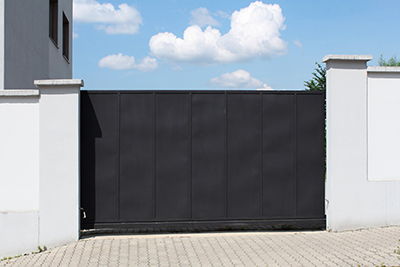 Gate Repair Bellevue can break down some of your options in a way that may help you determine which one will work for you. Some function more efficiently than others, while some require more maintenance. Others have more moving mechanisms and can become quit dangerous if they are not properly handled. Knowing more about these various features that are offered with today’s gates, will make the decision process a little easier. This type of gate opens in or out. Swing gates come in single and double. A single gate opens back and forth and a double opens in the same direction, similar to a French door. The single gate has to be installed on a flat surface. The double swing gate is the more attractive of the two. There are still more swing gates for you to inquire about, such as, lift swing gate and uphill swing gates. These are used for specific situations, which require different functionality. These gates slide from one side to another. You must have enough space, generally the width of a driveway, for a slide gate to work correctly. Again, there are several type to choose from, Rear Pipe Track, V-Track and Cantilever. The V-track gate is the most popular of the slide gates. This type of gate requires a flat surface in order to operate properly. The rear pipe track is used for chain link gates. Finally, a cantilever is a great option if there is snow buildup outside. They are designed to be able to ride above anything that could impede their movement, making it possible for them to run smoothly. There are also gates meant primarily for commercial or industrial use, such as barrier and vertical lift gates. However, if these types of doors appeal to you, why not consider having a custom gate designed that provides you with the same benefits of these types? With so many different options to choose from, it isn’t hard to get a homeowner exactly what he or she is looking for in terms of design and function. 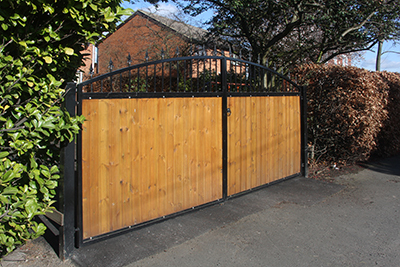 Some non-traditional residential gates can certainly be used for you to get what you want out of your purchase. Why not find out by asking our experts about your options.